We are shaped by what gains our attention and occupies our thoughts. To limit unhelpful fight, flight or freeze reactions to adversity, we must develop some voluntary mind-control over our attention. We should know how to put it where we want it, whenever we need to. Acquiring this ability should never become a matter of urgency. Most of us can get along well enough when our lives are going smoothly. It’s when things fall apart that we most need to find our inner wisdom, emotional agility and personal resilience. Without preparation, even intellectually astute people may behave stupidly under the pressure of a crisis. Even Under Pressure offers ways to cope with life’s obstacles and to harness the skills you inherently have to get you through a crisis.Turbulent times can test even the most resilient folk who already have a great skill-set of tools for emotional wellbeing. All your knowledge can fly out the window when you’re in the middle of a crisis and feel overwhelmed. Resilience and mindfulness are the umbrella themes in this book, written by Kiwi leadership and self-management coach Tom Watkins. Dealing with adversity, he says, is a part of life and the more open you are to dealing with it, the better. The ultimate aim is to be able to practice your existing, or developing, set of coping skills and have a positive attitude in the middle of a challenge. Everyone has an innate capacity for resilience – not just the natural optimists of the world – which can be developed with good techniques and practice, Tom explains in the book. The theory of mindfulness and being aware that our thoughts create our feelings, and the effects that has on our bodies, is the backbone of coping with adversity, Tom says. Mindfulness fundamentals include; what you pay attention to grows; your experience is only based on what you pay attention to; and your attitudes are dependent on your willingness to keep them. As a professional training consultant, Tom has taught these principles in workshops to many companies and people over the last few decades. Other helpful advice he provides in Even Under Pressure includes addressing denial and avoidance of “slow-creep problems”, preventing and reducing stress, limiting conflict and cultivating resourceful thinking. Changing unhelpful perceptions and “dropping anchor” during the eye of the storm are also chapters that are valuable for coping with life’s challenges. [ . . . ] the content is science-based and promotes solid methods commonly practiced by mental wellbeing professionals. 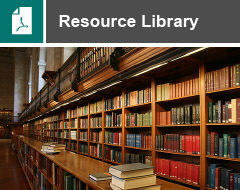 What I found really useful were the chapter summaries – What? So What? Now What? – which provide reflections to consider the patterns of your thoughts and behaviours, and provide challenges to get on the right track. 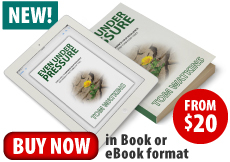 EVEN UNDER PRESSURE is available now, as an eBook or a hard copy.